When I sat down to write this post I realized that I haven’t done a What I’m Reading post since last year this time! How does that happen? 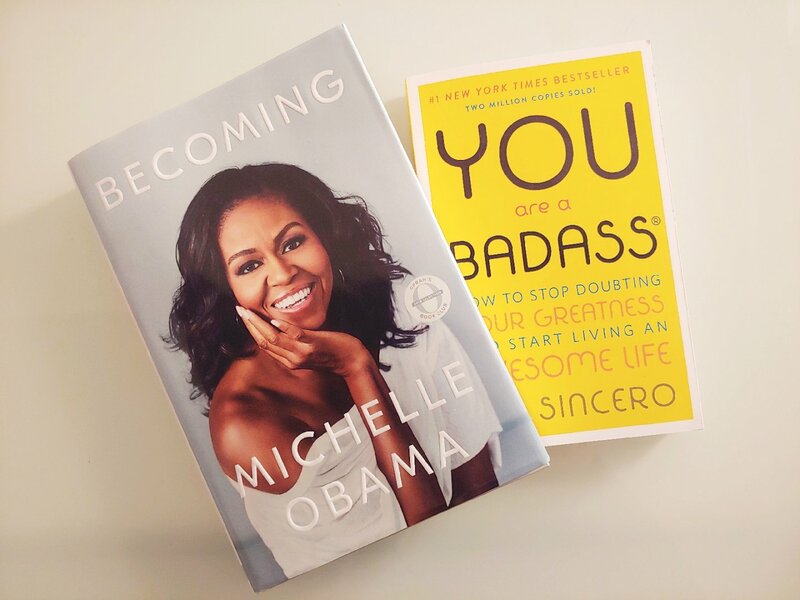 But what better way to break my dry spell than with the bestselling book of 2018, the one, the only Becoming by Michelle Obama and You Are A Badass by Jen Sincero. Could there be a better pairing?! I don’t think so! 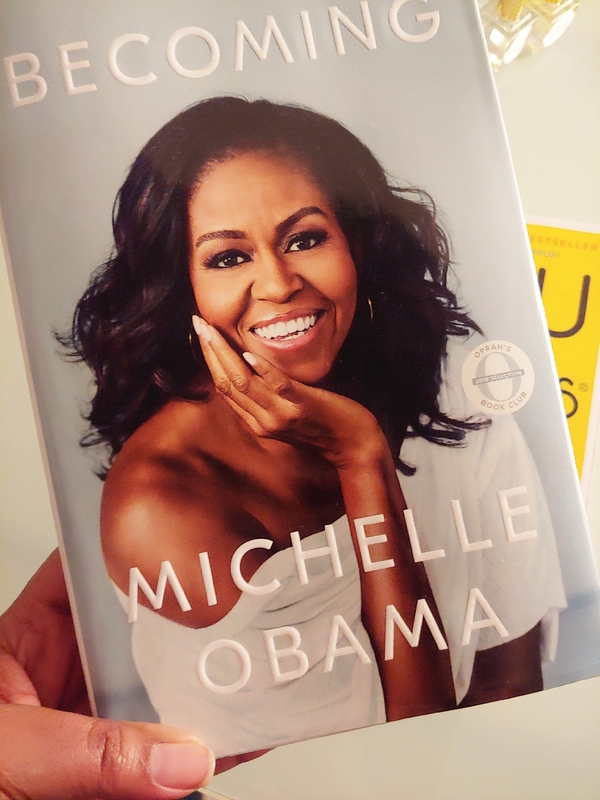 Of course, everybody and their mama is reading Becoming right now or at least carrying it around in their purse because Michelle freaking Obama! We thought her husband was a rock star! She’s killing the entire game right now, and everyone wants a piece of her. She is our Forever First Lady! I’m only 15 pages into her tome because it’s 4th quarter and blogger life is very, very busy this time of year. I’m getting ready to slow down soon though and it’s gonna be all about me and Mama Michelle. “There’s a lot I still don’t know about America, about life … but I do know myself.” – M.O. 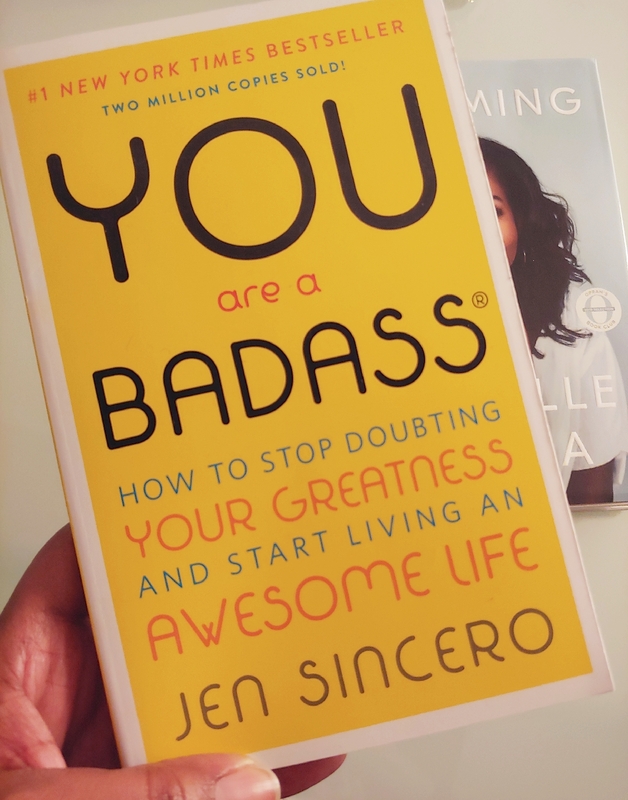 As a companion, it just so happens that I ordered a copy of You Are A Badass by Jen Sincero from Amazon and it arrived the same day I picked up Becoming in store. Serendipity indeed! 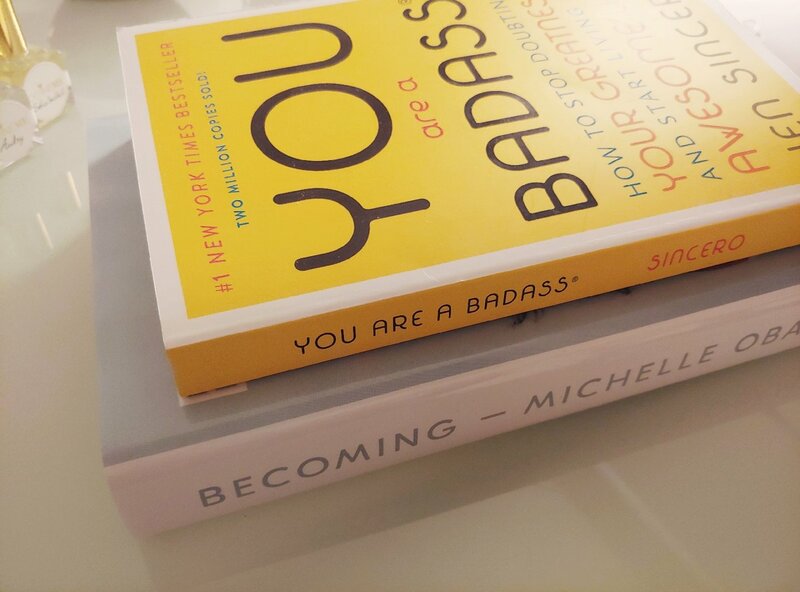 Who doesn’t want to read a fabulous memoir and a self-improvement book at the same time? Perfect pairing. All right girl, you got me! I’m all in on changing the rules that I’ve set for myself and the rules that other schmucks have set as well. Here’s my motto. “This is my one fabulous life and I’m gonna live the hell out of it even if it kills me!” These books should help, yes? Yes. What are you reading this month my lovely? I mostly read fantasy/sci-fi books, but you have me interested in both of these just from the quotes! I’ll have to see if I can snag a copy of either from the library if they are in there soon. No, I haven’t read it yet. I’ve heard people talking about it in my BuJo Facebook groups and they all say what you say. This bullet journal relationship is a real growth/evolution thing. I had no idea I’d be this involved with a productivity/planning system. I love it! I can tell you both books are amazing. I loved Michelle Obamas book! I can’t wait to get all the way into it! I just started reading Michelle Obamas book and I absolutely love it. She is so interesting. Not familiar with these book, but seems like you enjoyed them. I need a new book so ill be grabbing one to read asap. I can not wait to get to my local bookstore and buy Becoming! It’s been on my to-do list for ages. I love the quote you shared. 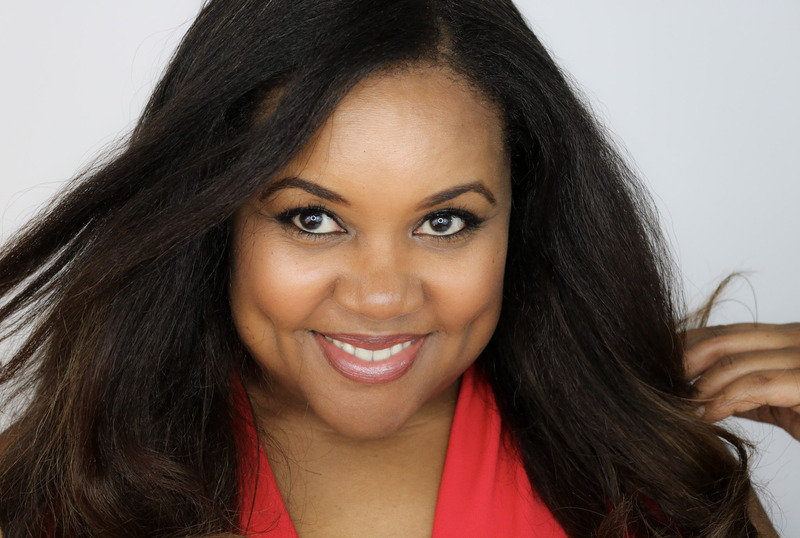 I am currently listening to Bad Feminist by Roxanne Gay and am really enjoying it. I like the second book and this is something I would read. I need to put a bookshelf and start reading books :). I mostly like to read romance and fantasy/adventure. Haven’t read a self-help book in my life before. lol But these looks to be amazing reads. I’m open to reading any genre. This could be next.